Though Finance Ministry supported and favored the real estate sector and broking firms, it added that there should be absolute ban on gaining exposure in the group companies or entities related to any of the promoters. The vendor or any of its large customers should not be permitted to acquire any loan from the bank, sources close to the Finance Ministry revealed. Sources added that this move will minimize the risk in accumulation of loans. In short, it blocks all possibility of lending to the group companies under the undue influence of Bank CEO. Favoring real estate sector, Finance Ministry asks RBI to permit them run banks. As per the RBI’s 2011 – draft norms for licensing of new private sector banks, any of the firms or groups with more than 10% of income accrued from real estate construction or broking will be considered as illegible for gaining a bank license. Explaining the RBI’s 2011- draft, it further states that real estate and broking activities are riskier and are not suiting the banking model business. RBI stated that both real estate construction and broking services are highly and inherently risky. Further the apex bank has stated that there is a worldwide move to separate banking from other sorts of tradeoff. The guidelines added that the previous experiences with the brokers have never been satisfactory and this is an important aspect. So, the guidelines add, it is important to ensure that no such group or entity undertake any banking activities. Thus these sorts of firms, including real estate firms and broking firms, are not considered worthy for acquiring a bank license. 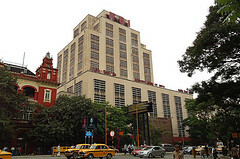 The Finance Ministry also suggested the substitution of Non–Operative Holding Company (NOHC) by Non-Operative Financial Holding Company (NOFHC) as the primary includes only the financial sector entities. 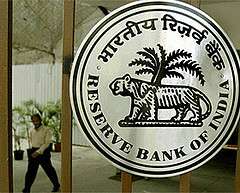 Further the ministry also favored the RBI’s plan to open 25% of banks in the rural areas with minimum number of banks. This entry was posted in Real Estate News and tagged broking firms, Finance Ministry, new banking license, RBI, Real Estate Firms by designer. Bookmark the permalink.